I’ve talked about Woot! a lot on here. But I wanted to use this time to tell everyone that it is a Woot! OFF!!!! This means Woot! is going to be selling lots of things today. An item will only be on sale until they run out so be quick!!!! Enjoy it everyone!! I hope you get a bag of crap! We’ll be watching on and off today of course! 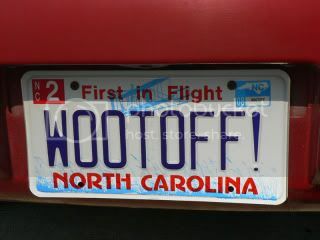 I wonder if that person (in NC) works for Woot! I thought all of Woot! was based in Texas though! Maybe just a big fan!